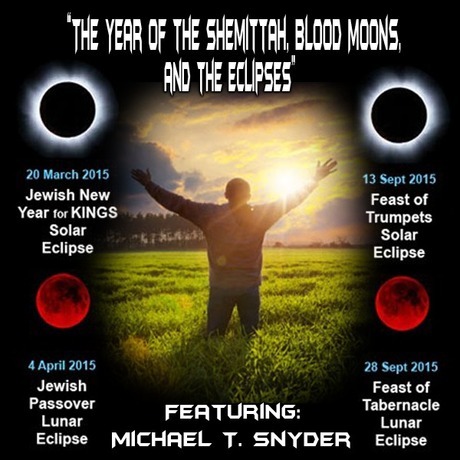 MESSIAH'S BRANCH Ministries and International Radio: Prophecy Hour - End Time Radio By Messiah's Branch - "The Year of the Shemittah, Blood Moons, and the Eclipses"
Prophecy Hour - End Time Radio By Messiah's Branch - "The Year of the Shemittah, Blood Moons, and the Eclipses"
"The Year of the Shemittah, Blood Moons, and the Eclipses"
Deuteronomy (verse 15: 1, 9), it was on that day that the practice of "Shemittah" or "remission" occurred. the people of Israel were forgiven. We heard about the "Shemittah" year that is lined up with the Blood Moons and Eclipses that all occur on the Feast Days this year!